Buckeye, AZ 85396 We live off of I-10 and Jackrabbit Trail. to see the dogs. 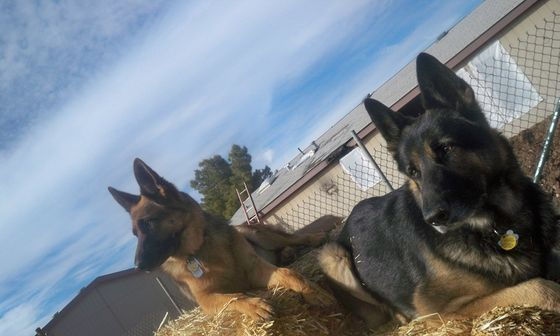 Email vintargermanshepherd@gmail.com, text 928-830-9373 I do not answer calls when I have visitors, texting is the best way to contact me. Facebook is another way to contact me Vintar German Shepherd. I do not quite understand website to work the membership part so best way for updates is the facebook. Website is for a general overview of the pack. The facebook is a daily to weekly update.